I just got back from a very nice two week family trip to Bogota, Colombia. My husband is a Spanish teacher so he was going to accompany some students on an exchange program. Since we had the opportunity for free housing and because the kids are probably old enough to remember it now, we went ahead and sprung for the trip. We love to travel with family and it really is a great chance to broaden the horizons for our children. The kids had the opportunity to go to the school in Bogota, Colombia and that was an experience that I didn’t want them to miss out on. Plus, I had never been to South America before and I was excited to take the trip as well. 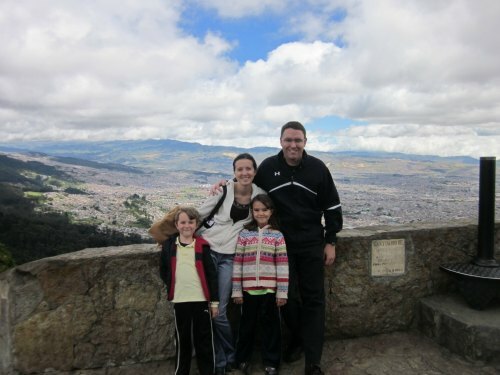 I hope our family travel experiences give you some ideas for things to do in Bogota Colombia and the surrounding area. We arrived on a Sunday and our kids, 6 and 8, started school the next day at Claustro Moderno. My kids do not speak Spanish beyond some very basic words, so it was quite an adventure. My daughter waved goodbye and never looked back at me. She is always up for a new adventure. My son on the other hand, was very timid and hid behind me not wanting to go into his classroom. I told him it would be fun and I would come check on him at snack time in an hour so he went ahead. After that he always went willingly. The school teachers and students were very welcoming and the campus itself was absolutely beautiful. 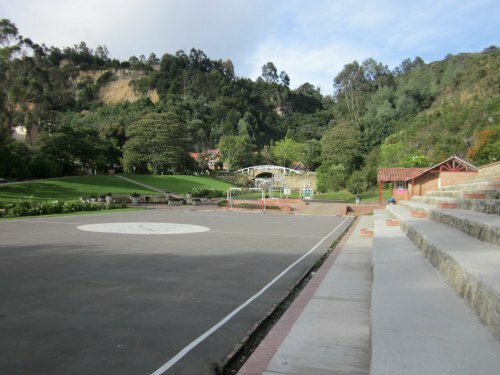 The classrooms were bright and colorful and the playground and soccer field are right in the midst of a beautiful setting- a stream, small lake, a lovely white bridge, super green grass, and climbing hills. Each day the kids brought home their work and they really enjoyed going to school in the mornings. They also loved their play breaks during their school day. Claustro Moderno has some animals for the kids to enjoy and my daughter took full advantage of being able feed the bunnies, peacock, pheasants, and chickens each day. My son played basketball and soccer with the other boys. They also had a morning assembly right there on the bleacher seating above the playground- what a fabulous spot to gather! After school we would play imaginary games centered around the playground structure as our “house” and the sand box as our “garden”. 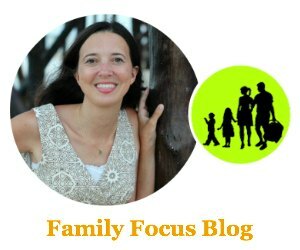 My son fought off imaginary adversaries and my daughter and I helped him. We also caught some imaginary chicken for dinner and my son cooked it up and served it to us on our tree stump chairs and dinning table. It really was an ideal place for kids and I would spoke to one parent that said when she saw the campus, she was sold. 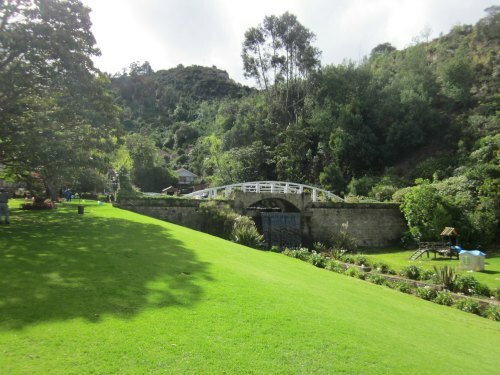 I am sure that is true for many, if not all of the parents, as the Claustro Moderno campus is such a beautiful place to enjoy childhood especially in a city as huge as Bogota- almost 9 million people. That first weekend that we had there in Colombia was spent seeing some sights and enjoying the company of some very nice Colombians that showed us around. I found that when you got out to eat in Colombia, it can be a lengthy affair. Especially if you go to Qudres aka Andres Carnederes! We drove out of the city to eat at Qudres in Chia, Columbia which has a reputation for being a wild and crazy place to eat. It has amazing art décor all done by local artist. 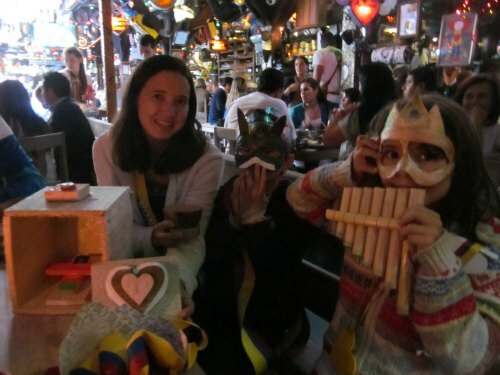 It also has great entertainment as different bands make their way around and play a song for you as they bestow you with gifts like paper crowns and Colombian sashs. They have an amazing section for kids where (for a fee) the kids can play to their hearts content doing all sorts of fun stuff like- carpentry, wall climbing, bracelet making, masks, face-painting, wood flute making, puppet showes, clay work, and more! 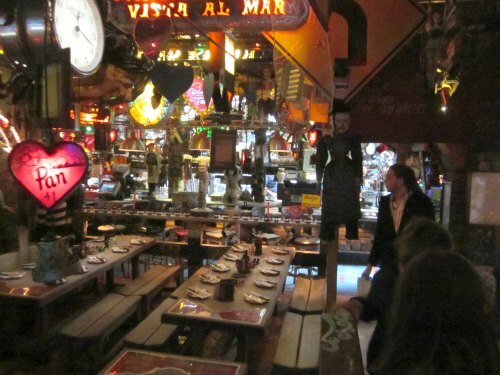 It is a fantastical reality setting and will take up your whole afternoon just enjoying the scene and food. On the way home we stopped at Alpina for dessert. We loaded up on varieties of desserts that use the fresh cream from the dairy plant. Delicious and well worth the stop. There are lots of fun things to do in Bogota Colombia and I wish we had spent even more time exploring the city and the beautiful architecture. We had breakfast in Bogota at Crepes and Waffles– a fabulous Colombian chain. Very yummy. I love all the fresh fruit juice options that are available at every restaurant at any time of the day. Then we visited a few street markets- very fun and with beautiful handmade goods. I didn’t get photos because it was raining lightly- something it seems to do in Colombia most days. After that we headed to a downtown area ate some grub and went to the Planetarium Show– where I wished I had learned more Spanish in school so that I could have understood more of what they were saying about our universe and the shaping of the planets and stars and galaxies! We tried to go up the Torre Colpatria which is a 50-story skyscraper located in downtown Bogota but we didn’t have our passports on us so we were denied access! A few days later we visited Monserrate, a mountain top with a church that is seen from the city center of Bogotá and rises 10,341 feet above the sea level. The view from up there is incredible and you take a cable car up the mountain and down again so the kids loved the ride. The church is beautiful as well as the grounds- I spotted some beautiful hummingbirds. There was also a street market packed with great souvenirs. 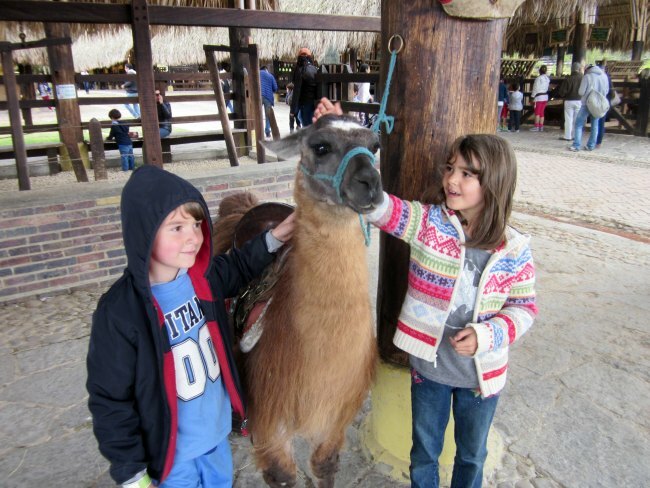 We visited the Panaca Animal Park and the kids loved it. It is packed full of everything to do with agriculture from gardens, to cows of all sorts, pigs of all sorts, goats and sheep of all sorts, poultry, bunnies, horses, ponies, and much more. Kids can feed the baby cows with a bottle or watch a pig race. The Catedral de Sal de Zipaquirá was just amazing. A tour guide leads you underground into the salt mine 200 meters underground and you visit 14 small chapels, representing the stations of the cross and then make it to the main cathedral. The tour even kept the interest of my 6 and 8 year old. 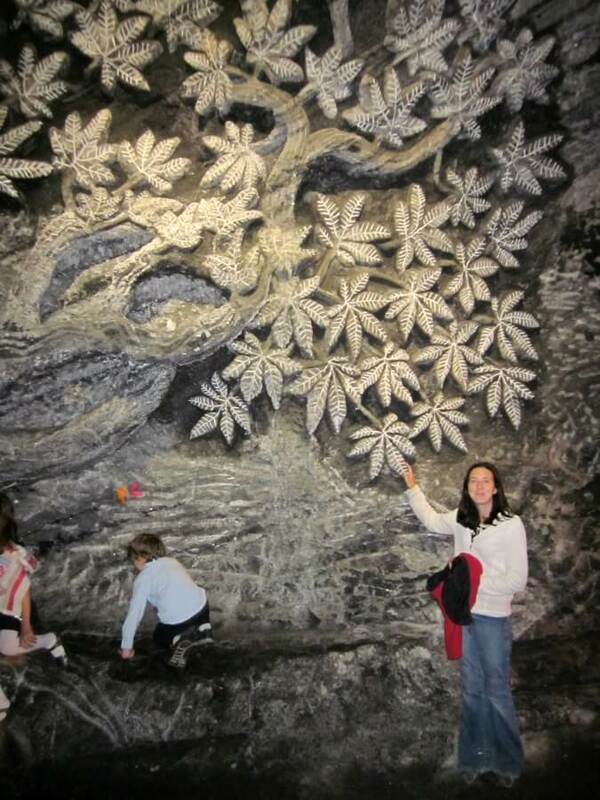 I absolutely loved the salt carvings and they loved exploring the tunnels! 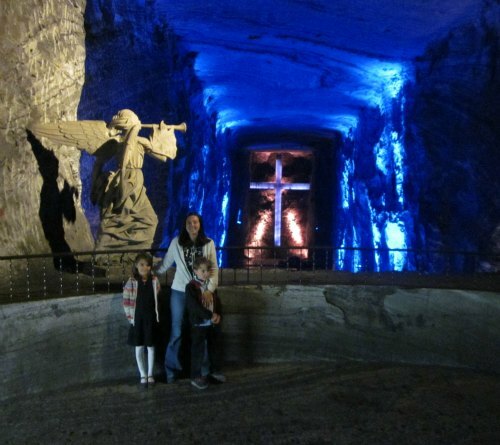 We all enjoyed the Salt Cathedral and I suggest you do NOT skip it if you take a family trip to Colombia. We loved our family trip to Colombia! 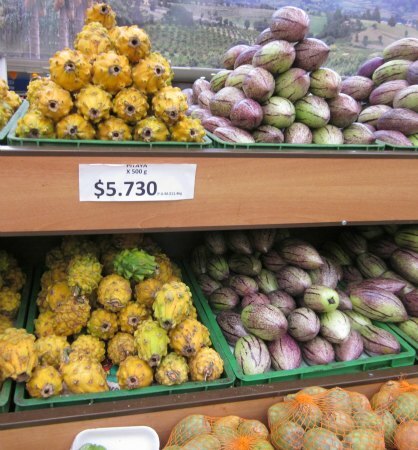 So much great fruit to eat and beautiful vegetation to look at! Which of these things to do in Bogota Colombia interests you most? The Salt Cathedral sounds amazing and is on my list of sites to eventually visit one day. I saw a documentary on it last winter and was just captivated. It sounds like your family had a wonderful experience. Columbia isn’t on the standard “vacation”radar for many of us in the US. But it appears that it was very family friendly. Thanks for sharing. My husband is from South America and his parents live in Bogota. 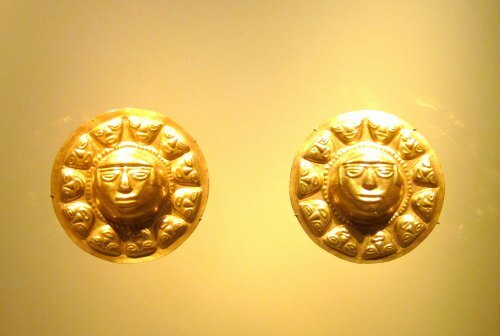 I have eaten at Andres Carnederes and Alpina, been to Zipaquira, Monserrate and El Museo del Oro. 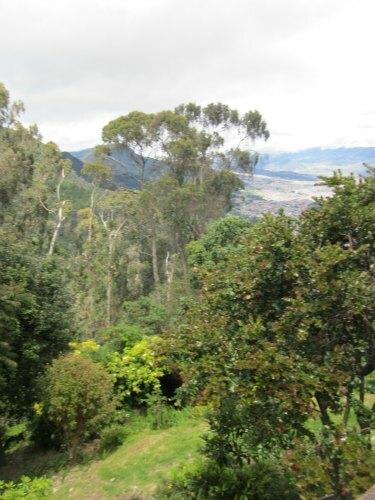 Did you make it to Guatavita? That’s a favorite spot to take out-of-towners as well. We’re excited to take our kids there when they are a bit older. This brought back fun memories. My 17 year old daughter is in Bogota as we speak visiting my relatives. I came to Canada when I was 5 so touring Colombia is still very much of a touristic pursuit for me. I am so glad that you loved Colombia. I hope you get to return and go to Villa de Leyba and Cartagena the next time. Love your post! Enjoyed seeing the travel pics from your family adventure!